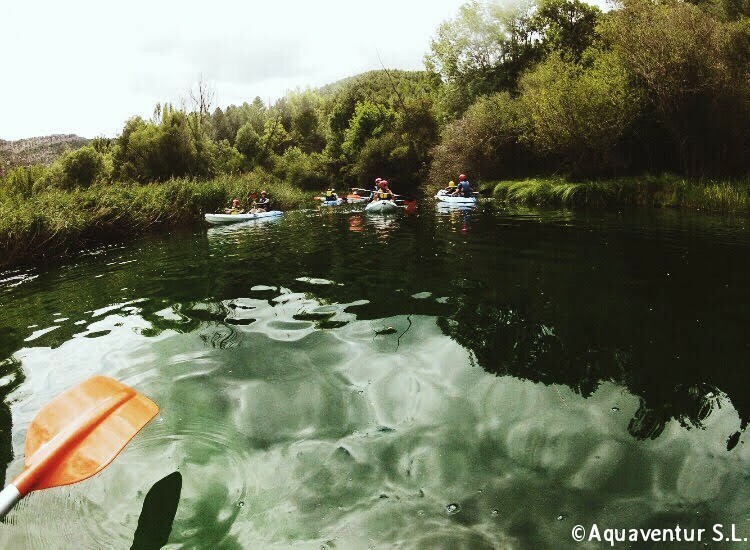 We do introductory courses in kayaking. 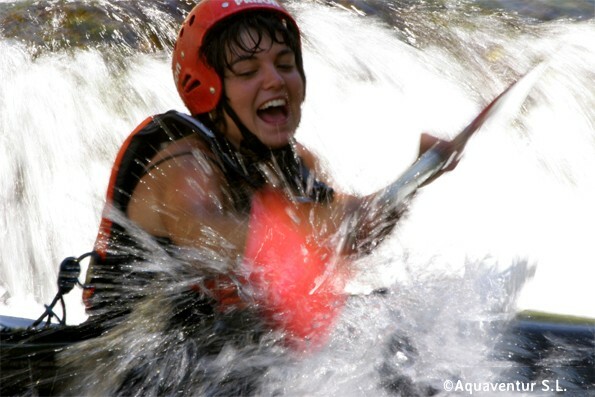 The courses are made in calm water and in whitewater. First, our instructors will give some basic knowledge. 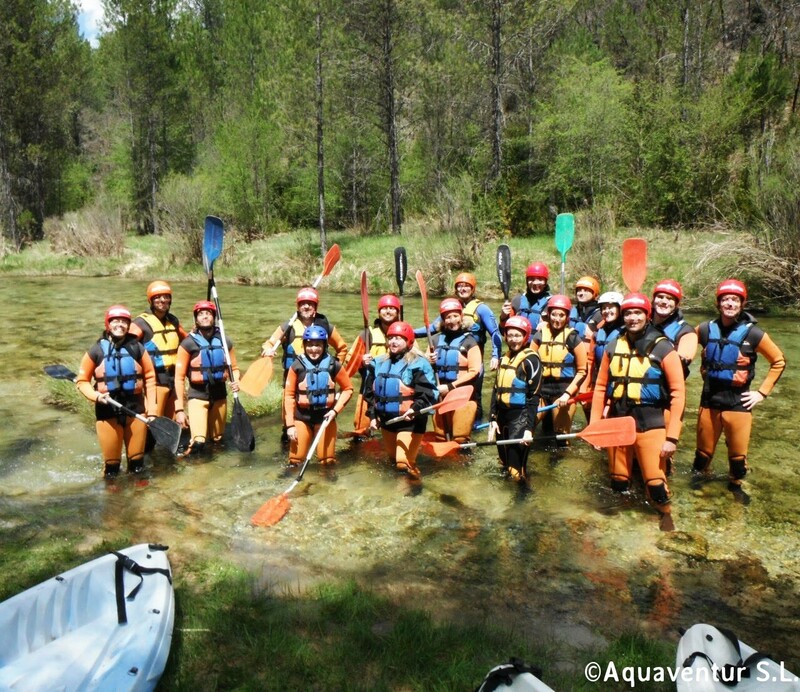 After that the activity continue in the river. We also have advanced courses. We only have guided routes. 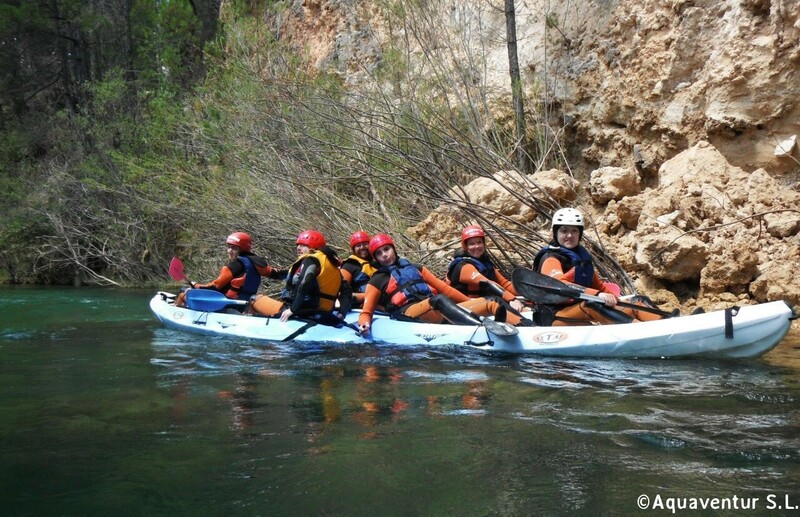 We do all our activities in the river Tajo. 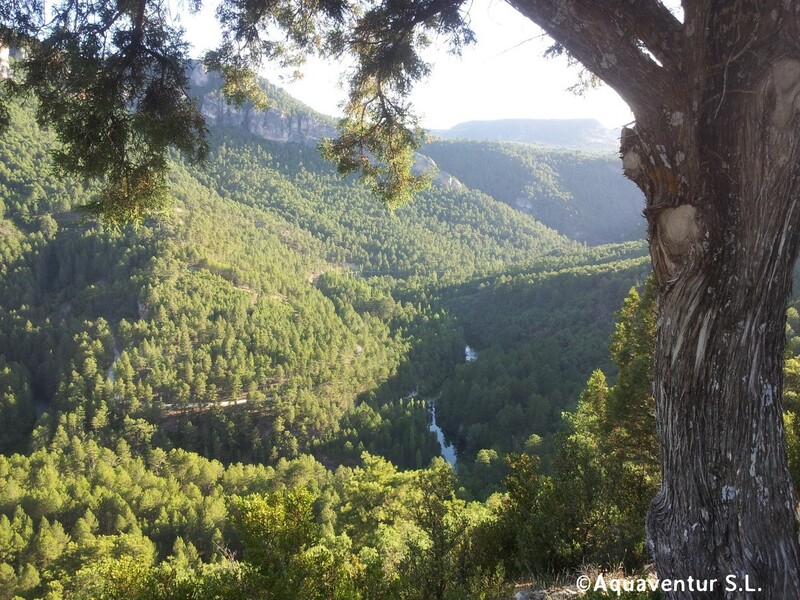 The wonderful Alto Tajo Natural Reserve (Guadalajara) has a great ecological value. 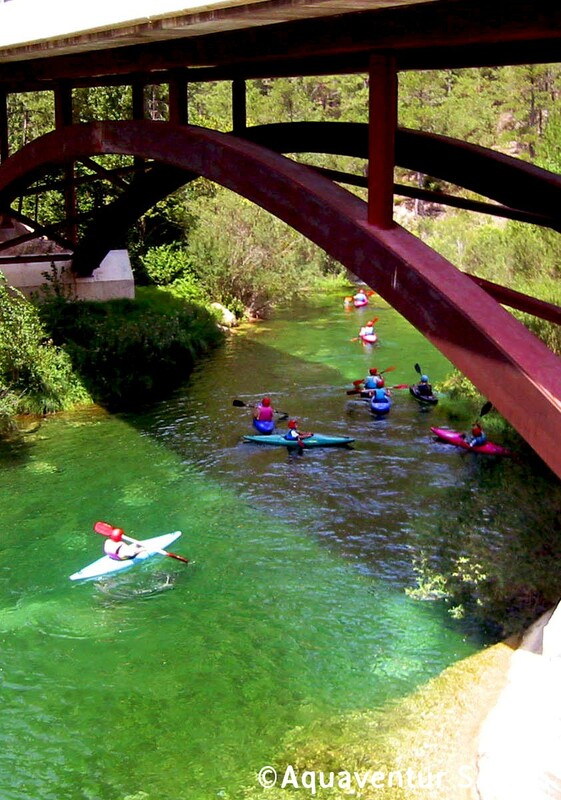 The sections where our kayak activities are done are between: Peralejos de las Truchas, Taravilla, Poveda de la Sierra, Peñalén and Puente de San Pedro en Zaorejas. Equipment: All the material needed is provided: footwear, wetsuits, raincoat, helmet, life jacket, paddle, etc. We recommend to bring a towel and a swimsuit. Requirements: To do this activity the ability of swimming is obligatory. 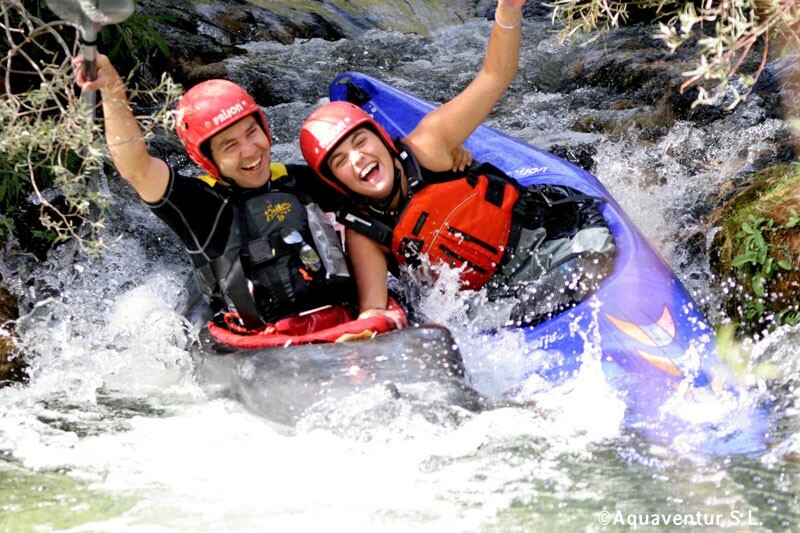 The minimum age for this activity varies according to personal and environmental factors. Season: From March to October. If you want to practice this activity out of season, contact us. 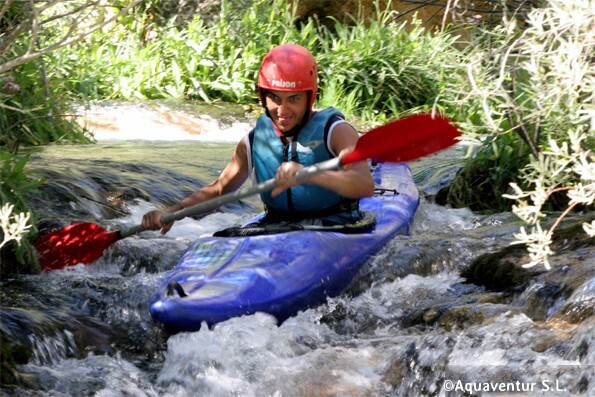 This activity is recommended to those who love the water, practice canoeing or those who just want to experience the adventure of kayaking.